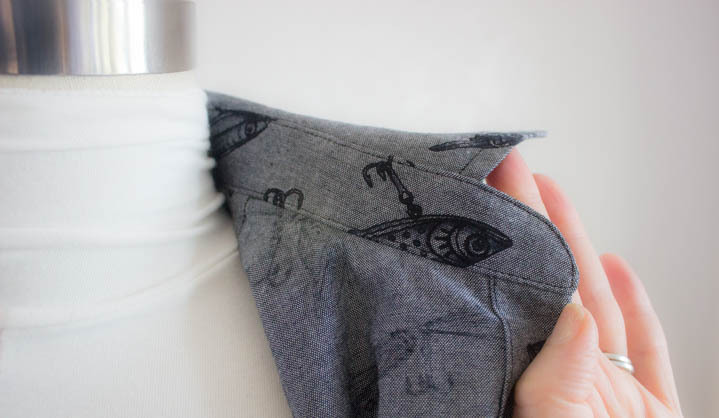 I know it’s unbelievable, but we are finally at the final step of the Archer Sew-Along—the hem! And of course, I can’t show you just a single method to hem a shirt. Let’s start with the press-and-turn-twice method. 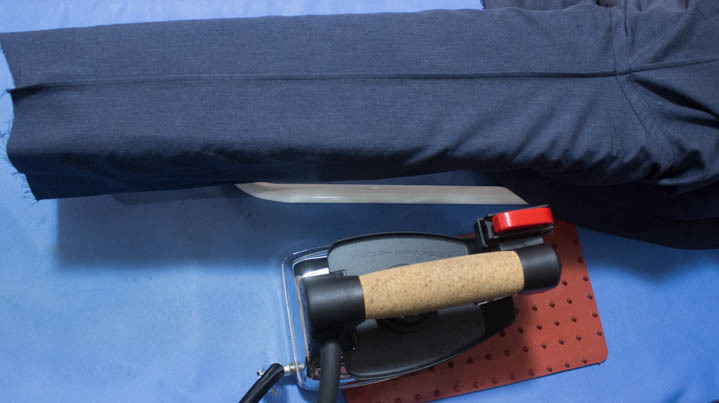 This is the way I normally hem shirts when I am sewing on my Bernina 710, possibly only because I haven’t gotten around to buying a rolled hem foot for this machine. Which means you don’t need a special foot to hem your shirt. 2. Press the hem edge of the shirt tail to the wrong side, about 1/4 inch..
4. Stitch close to the upper edge of the hem, backstitching at both ends. I usually use the edgestitch foot for this job, because the shirttail curve is gentle enough the edgestitch foot can still handle the job. One of the other reasons I like this method is because it give a bit more weight to the hem, and it hangs a little nicer. If you always tuck your shirts in that doesn’t matter a whit, but I do <slightly> prefer it on shirts that are worn over bottoms. OK, now let’s try it with a rolled hem foot, which admittedly is a bit faster and easier. If you have a rolled hem foot, that is. 1. Check the placket lengths just as above in the press-and-turn-twice method above. 2. Do not even think about trying to start hemming at the beginning of the shirt using the rolled edge thingey on the foot. 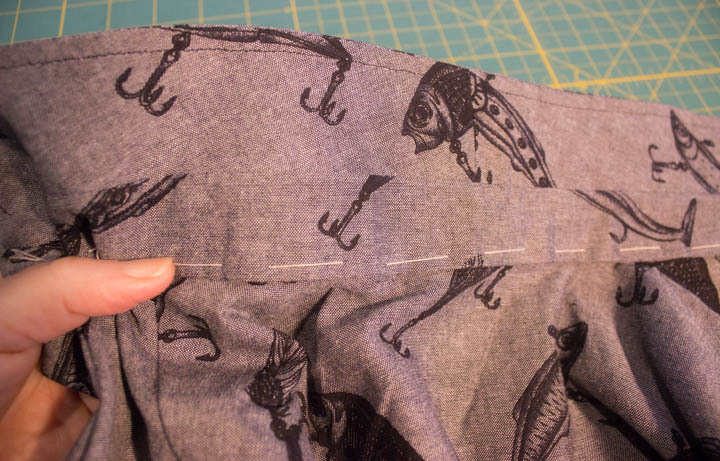 Turn a narrow hem twice and pin in place. 3. Backstitch for a few stitches, and then stitch forward for an inch or so. Notice there is no fabric yet in the rolled edge thingey. 5. 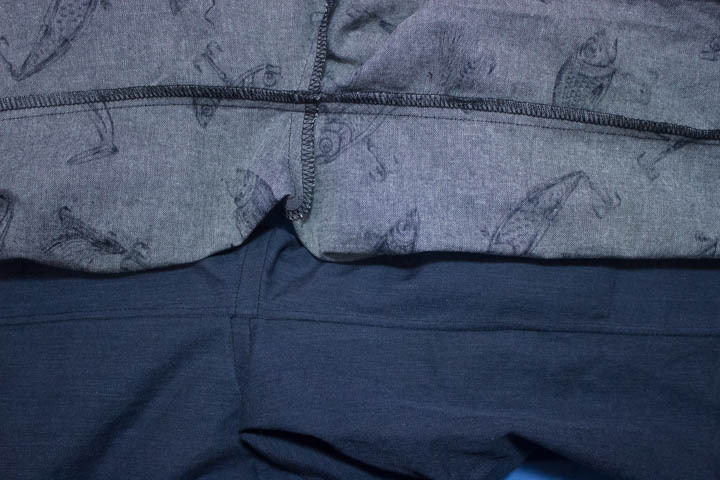 Continue around the entire hem, maintaining an even amount of fabric in the foot. Whew, we made it to the end. Admittedly, it took WAYa bit longer than planned, but my life was seriously over-complicated this fall. Regardless, kudos to all who finished this project, and here’s hoping you make many, many more Archers. 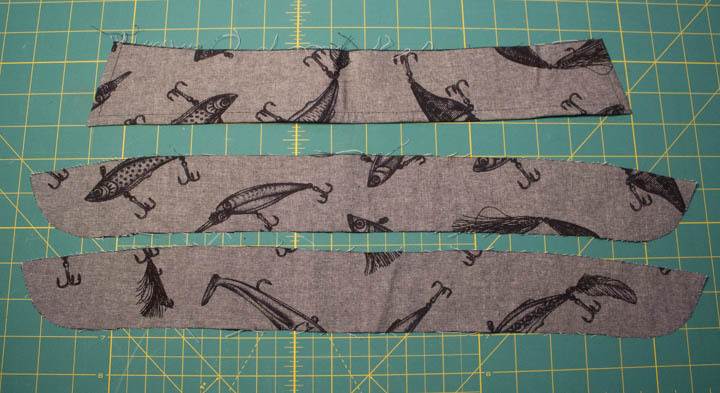 I made 3 for this sew-along alone! And don’t forget you might be the lucky FREE PATTERN winner of the Sew Maris Archer Sew-Along. We all need more patterns, right? Post pictures of your completed Archer to the Sew Maris Archer FB group to be entered to win a FREE pattern from Grainline Studio! Deadline for posting your pictures to be entered for the pattern give-away will be midnight January, 18th, 2015. And mucho thanks to Jen for the pattern! Does adding the buttonholes to a shirt make you anxious? For me it is one of the “no-brainer” parts of shirt-making. I have to confess tho I think that may be due at least in part to my amazing Bernina 710 sewing machine. Regardless, buttonholes should not be considered too tough no matter what sewing machine you use. A couple of “rules” before stitching buttonholes. 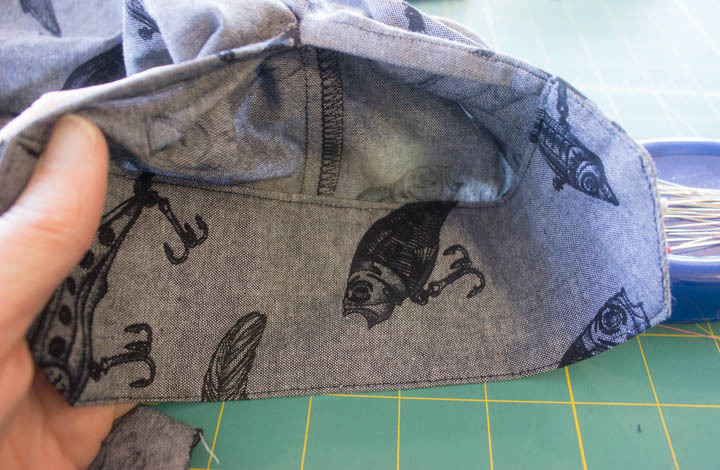 Interfacing is key to stabilizing the fabric. 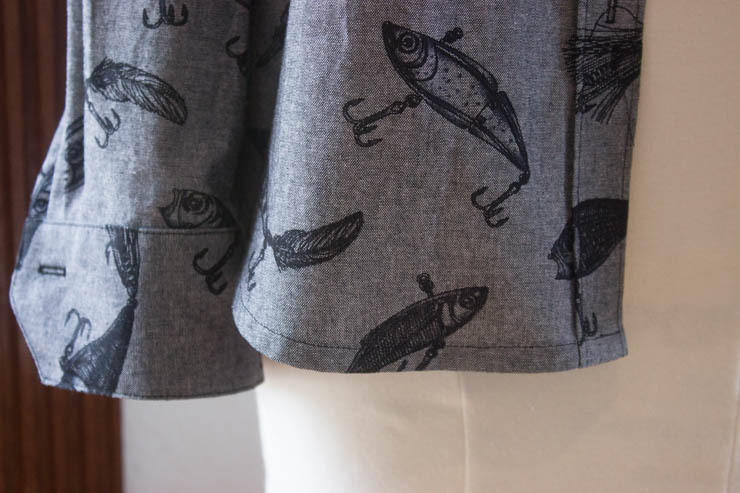 Don’t even think about trying to stitch a buttonhole on a shirt without interfacing. (BTW, a layer of the same shirting as the garment can qualify as interfacing) . Adding a layer of water soluble stabilizer on the top and bottom of your shirt will provide even more stability. Mark your buttonholes as required by your buttonhole foot; some feet start at the “bottom” end and traverse “up” to the beginning of the buttonhole, and others start at the beginning and traverse to the “bottom” end. It won’t do you any good to mark only the beginning of the buttonhole if your machine stitches from the “bottom up”. 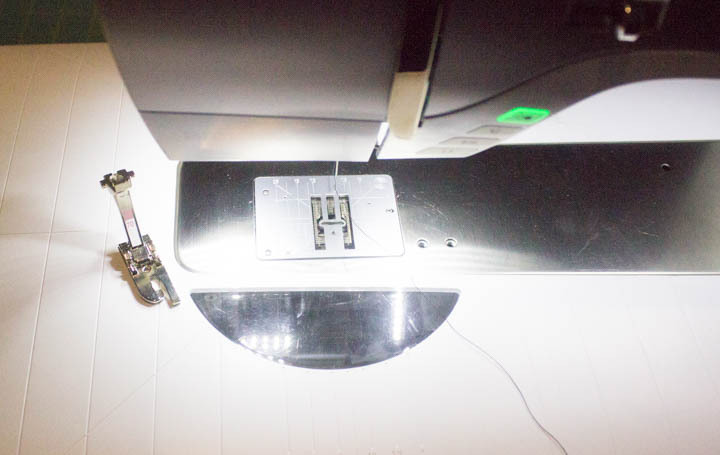 You will also need to mark the beginning and the end of your buttonhole if your machine only makes a “manual” (i.e. no auto-calculation of buttonhole length) buttonhole. 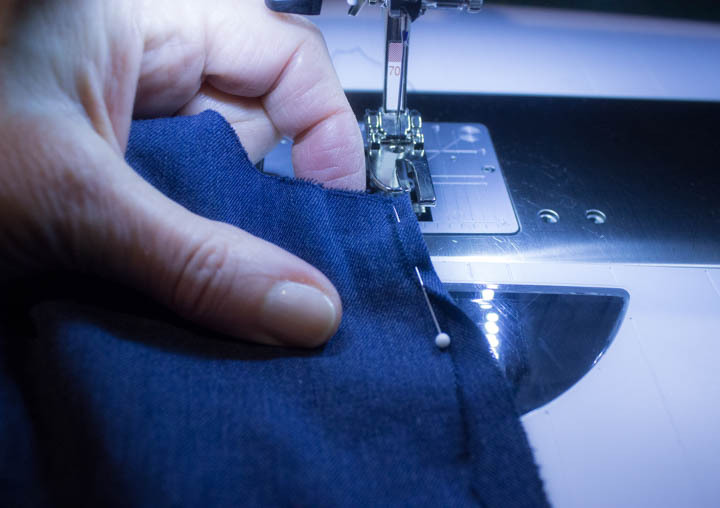 If your machine allows you to adjust the stitch length of your buttonhole, consider lengthening the default setting slightly. A little less thread build-up will produce a smoother, more RTW-looking buttonhole. Of course, your sample buttonhole will tell you whether you like this change or not. 😉 It is definitely optional. OK, let’s get to the good stuff. 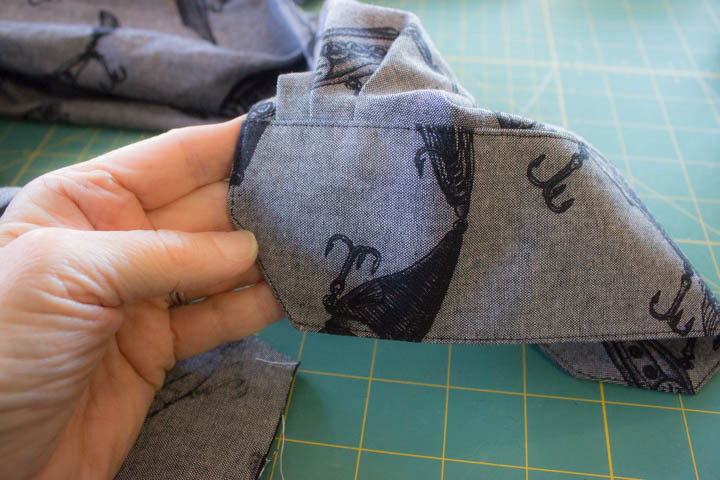 If your shirt fabric is lightweight, and/or your interfacing is lightweight, add a piece of water soluble stabilizer on top and underneath the buttonhole marking. Call it extra insurance. 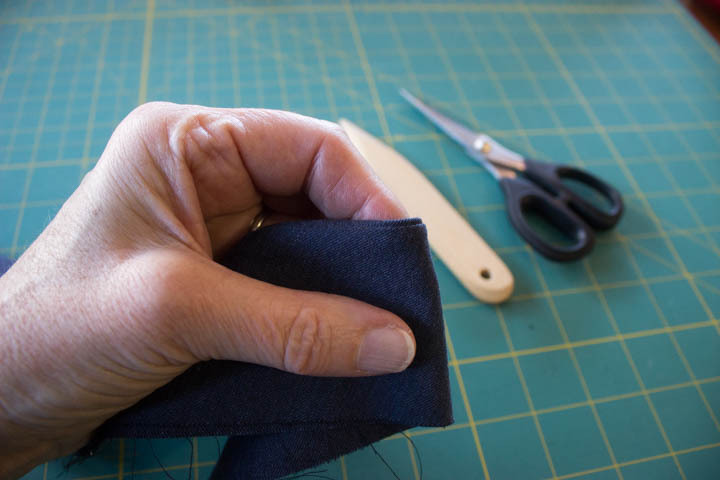 I rarely use this product when making a shirt with very crisp fabric and Pro-Woven Shirt Crisp interfacing, but trust me—if you are having trouble with your sample buttonholes this product may help immensely. If your sewing machine has a buttonhole foot with an “eye” that electronically reads the buttonhole like the one shown above, AND you have made a sample and verified all the settings you want to use for your buttonhole (stitch length+buttonhole length+distance between the 2 rows of zig-zag stitching), um, all the hard work is done. 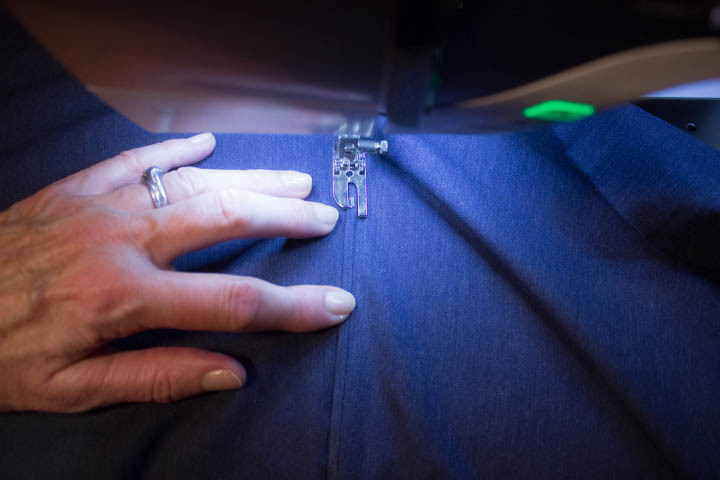 Just position your machine at the top buttonhole mark, and step on the gas. Honestly, it takes me longer to set up for making buttonholes than it does to actually stitch them on the shirt with my Bernina 710. I do have a step-by-step buttonhole tute for this type of buttonhole foot if you want even more deets. 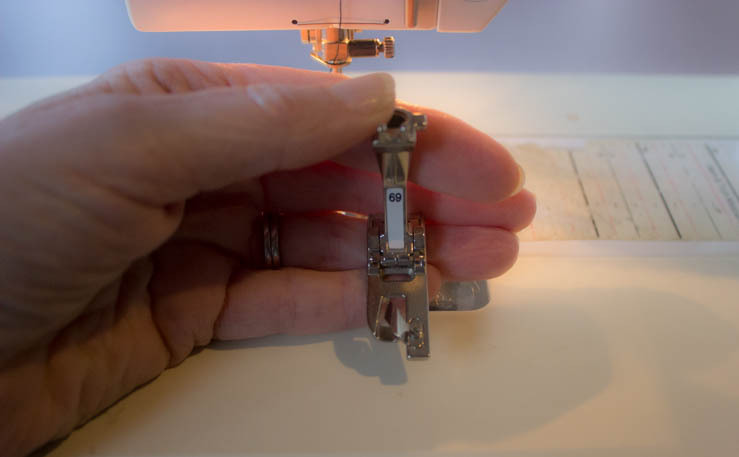 If your machine uses a buttonhole foot like the one shown above, put the button in your foot and follow the directions in your machine’s manual to attach the foot to the sewing machine. With this style of foot you will be sewing the buttonholes from the bottom end up to the beginning point of the buttonhole. 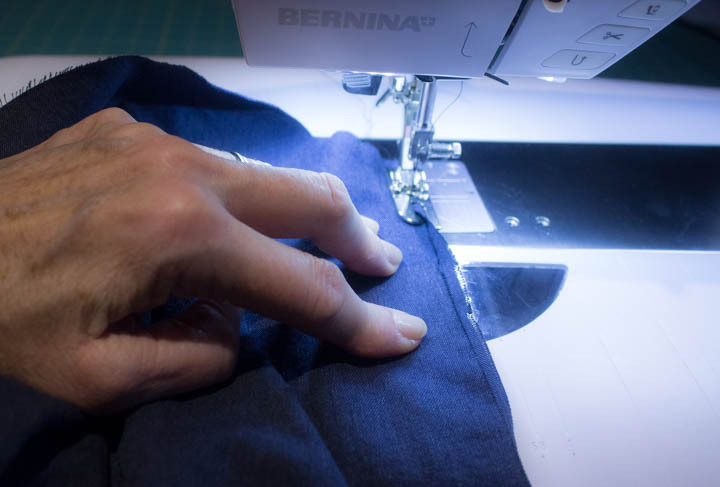 If your sewing machine and/or your buttonhole foot is manual only, you have more work to do. You should definitely follow the instructions for your machine. On my vintage Bernina 830, I started at the top edge of the buttonhole and stitched the top bar tack first, then adjusted the machine to stitch one leg of zig-zags, then the bottom bar tack, then the second leg of zig-zags, and then the tie-off. 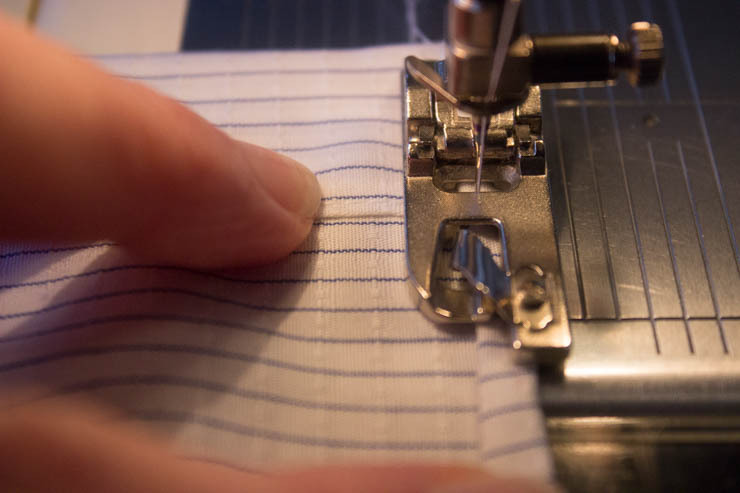 It is definitely harder to create 9 or 11 buttonholes that are exactly uniform with a manual buttonhole foot, but it is possible with some practice. 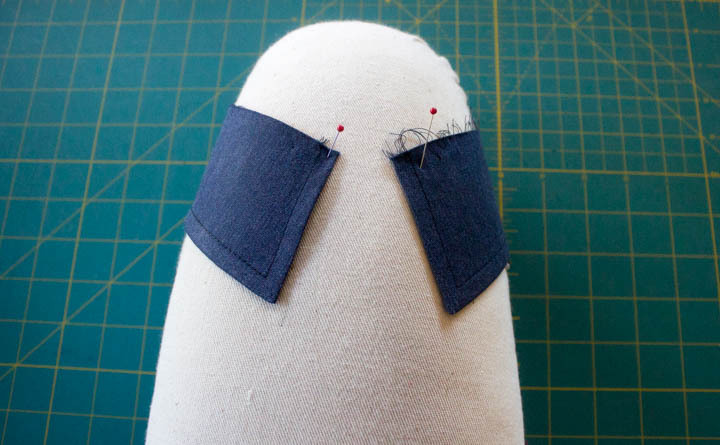 It also helps to count your stitches—at least for the bar tacks—which will give your buttonholes a more uniform look. Besides, no one except you is going to compare 2 buttonholes to see if they are the same length! Sadly, most people are just not as interested in us as we are, LOL! 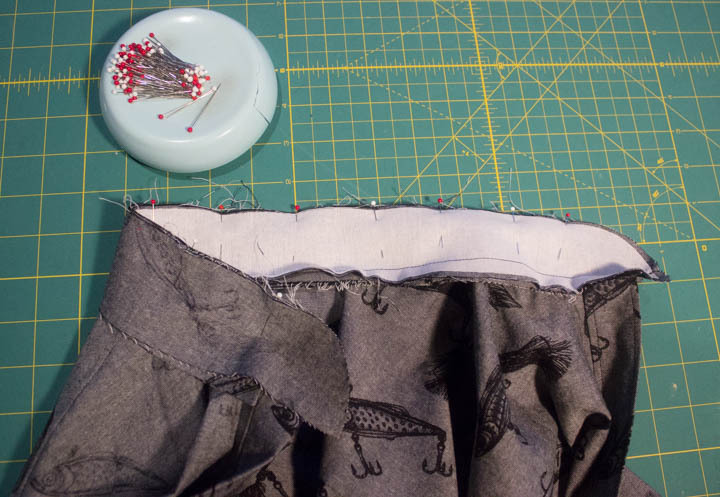 After all your buttonholes are stitched, run a thin bead of seam sealant like Fray Check between the zig-zaggy “legs”. Let it dry thoroughly, and then cut the buttonhole apart. 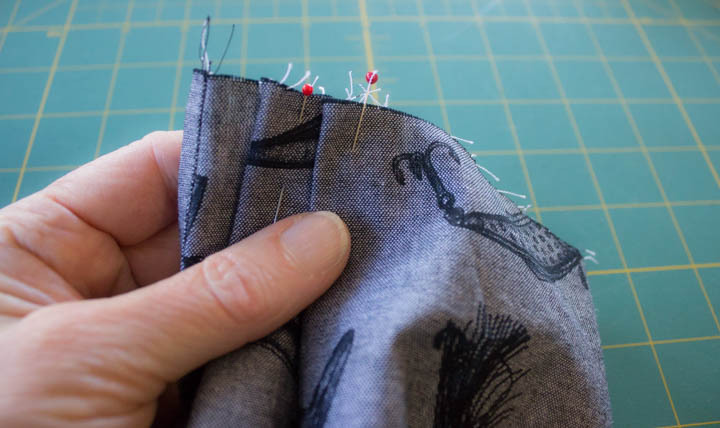 I like to use my awesome Japanese buttonhole chisel for this job, but you can also insert a seam ripper and slide it between the ziggy-zaggy legs. Some people put a pin parallel to the bar tack at the end to prevent slicing further than desired! Whew! Buttonholes all done! Now here’s a fun trick to mark the button placement. 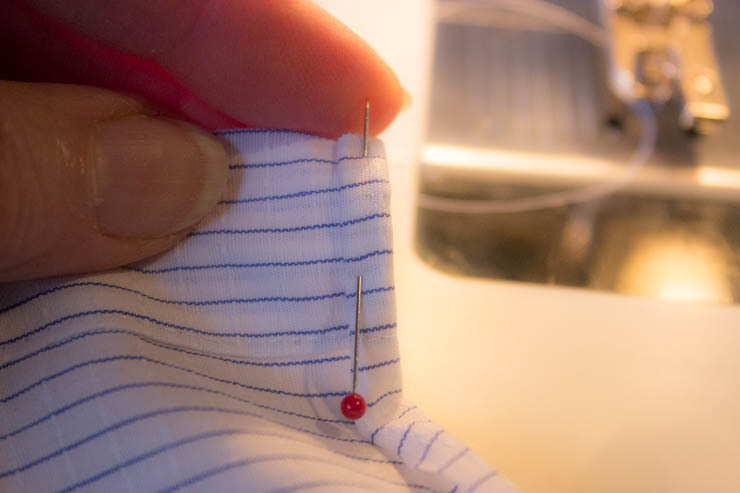 Place the right side of the buttonhole placket on top of the right side of the button placket (be sure to align the front edges) and then insert a chalk marker in the middle of the buttonhole onto the button placket side. BAM! Yep,it is that easy to mark your button placements. Turn back the buttonhole placket, and just make sure the chalkmark is on center front line. Done and done! Oh, well , you do need to sew the buttons on. And this UH-mazingly fast and easy button tute will blow your mind. 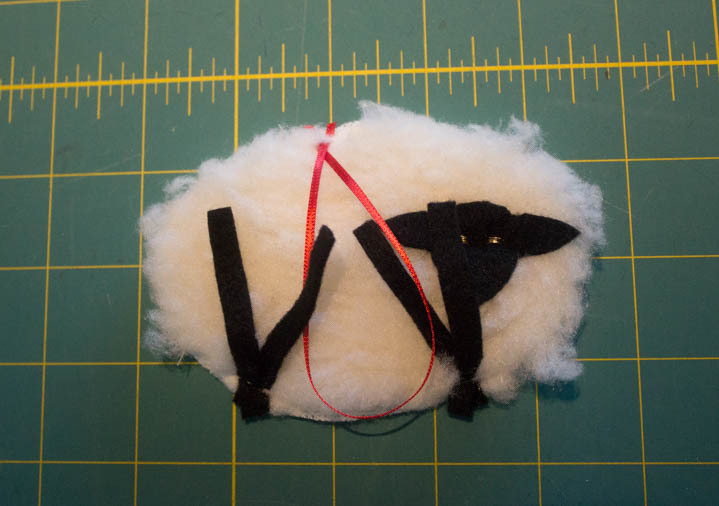 PUH-leeze vote for my little wooly lamb! 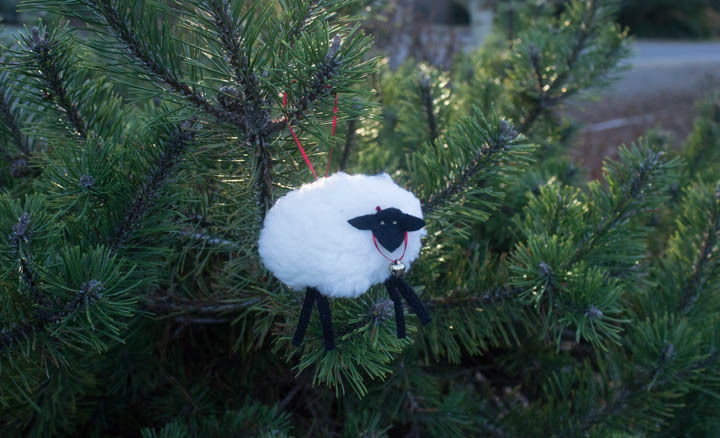 Just a super quick post beggingasking you politely to vote for my lambie tree ornament in Deanna McCool’s 12 Days of Christmas Blogger Challenge. The winner gets$100 to spend on FABRIC! Thanks for considering, and happy sewing today! Dun dun duh! Wrestling the collar stand onto a shirt is always the most stressful part of shirtmaking for me. I can’t promise to make this part stress-free, but luckily I do have a few tricks that can help. One of the first things you need to realize, and that seems backwards, is the inside of the collar stand is the right side. Yeah, the side against your neck is the right side. Weird, huh? But it does make sense if you remember that the collar actually covers the majority of the other side of the stand that is on the RS of the rest of the shirt! Keep this in mind; it means the interfaced collar stand gets attached to the WS of the shirt, and the topstitching should be stitched with the inside (RS) of the stand face up. 1. 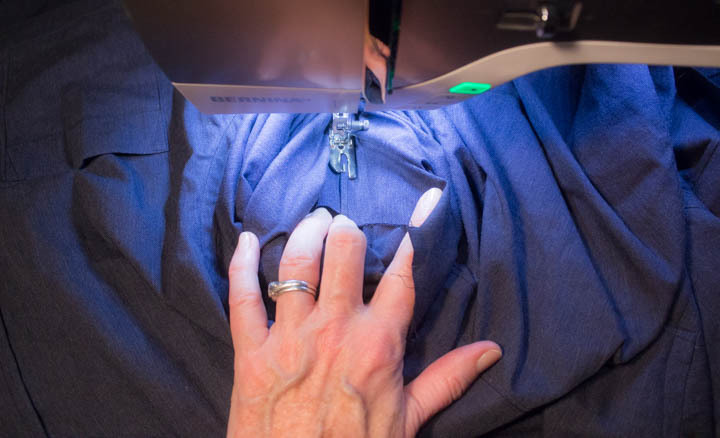 Place the RS of the interfaced collar stand against the WS of the shirt neck, and pin in place. Be sure to extend the ends of the collar stand by whatever seam allowance used on the stand—which is 1/2 inch if you did not alter the Archer pattern. Stitch the interfaced collar stand to the shirt. 2. Place the RS completed collar on the RS of the interfaced collar stand, matching notches. 3. Place the non-interfaced collar stand (left side of image) on top of the collar, also matching notches and front edges, and pin in place around the upper edge only of the stand. 4. Now here is the tricky part. You need to fold a bit of the front plackets up inside the 2 collar stands. 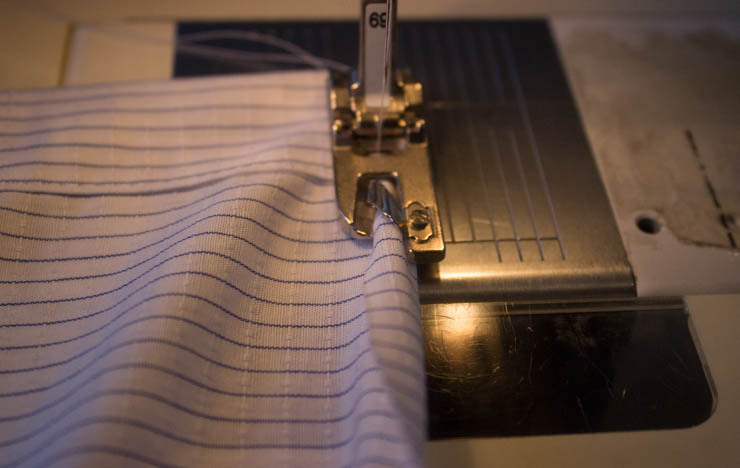 And you need to do it in a way that you don’t catch the front edge of the placket when you stitch around the front curve of the stand, and also keep the placket out of the way when you stitch a couple of inches along the neck edge of the stand. Sheesh. Oh, and the collar needs to be pushed out of the way of the stitching, too. And of course you only have the final width of the stand (about 1 1/4 inches!) to cram the front plackets + collar into!! See why this step always makes me break out into a slight sweat? 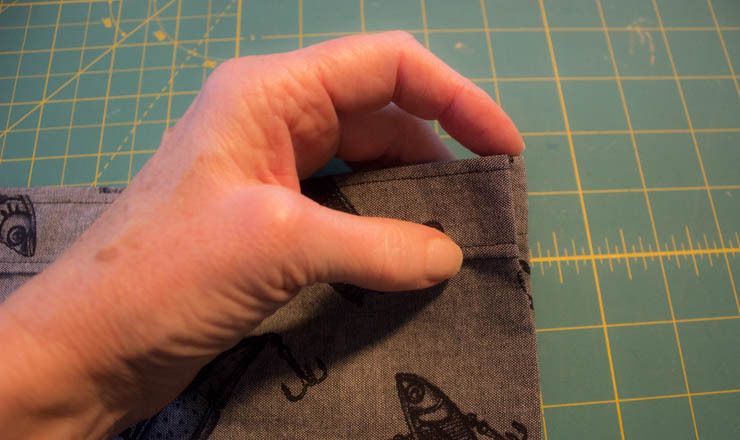 My best advice is for you to fold about 1 inch of the front placket straight up into the stand, and then fold again at a 45 degree angle, keeping all the front placket edges out of the way of the neck edge stitching line. Just push the collar toward the center back. 5. 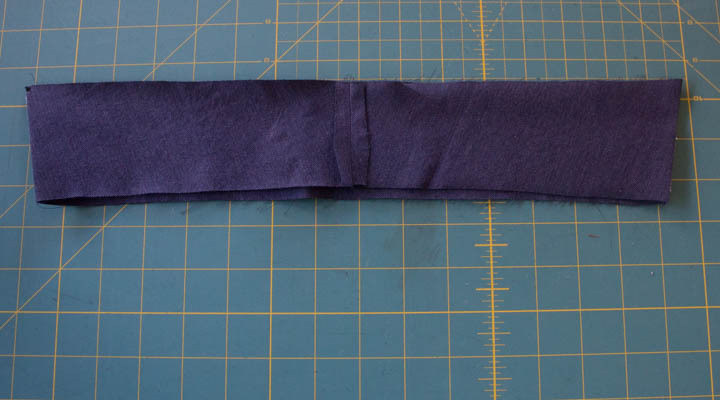 Stitch around the collar stand, with the interfacing side up so you can see where the neckline stitching is placed. It is a good idea to stitch directionally for this part; meaning start in the middle and stitch to each end. 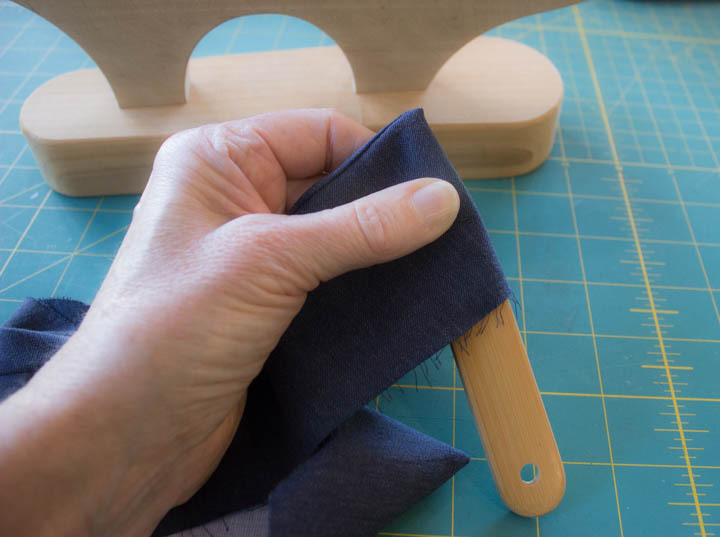 Thee are no issues when you are stitching along the top edge of the stand; just be careful going around the curve so that your stitching is smooth, and do your best to not catch the front placket. You can poke your finger in and push the placket back a bit if you like. When you pivot at the front edge corner, plan on only stitching an inch or 2. I like to stitch just beyond the point where the collar covers the stand, and that is far enough! 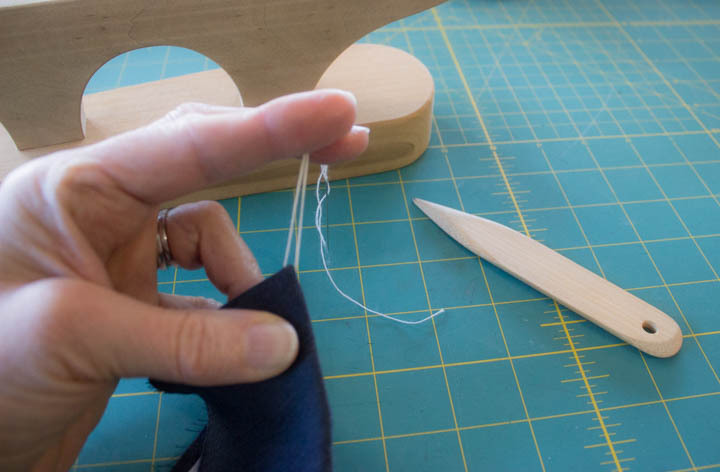 When you get the neck edge side, keep your needle just a smidge towards the top of the stand; you don’t want your final stitching closer to the neck edge because then the original neck edge stitching will show from the right side. 6. Before you trim the seam allowances, pull on the front placket to turn the stand RS out. 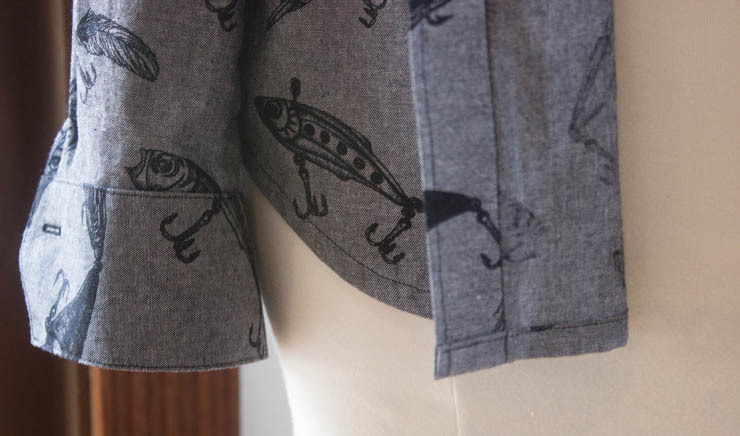 this is where you check to see if you caught any part of the placket in the stand stitching. If you did, just unpick and redo it. I probably catch a bit of the placket about 50% of the time, so trust me, the unpicking is not that big a deal. 7. 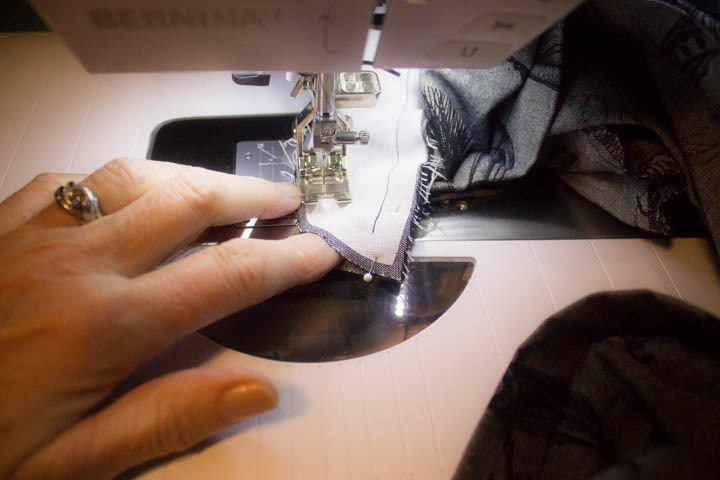 Once your stitching around the stand is as you want it, trim the seam allowances very aggressively. The less bulk the better, especially on the curve and the corner. 8. Press well, including pressing the lower seam allowance on the un-interfaced stand under. Now, there are loads of ways to baste this edge to your collar stand neckline stitching, but I prefer hand-basting using the awesome Japanese basting thread from my Etsy store. The fact that it is cotton (i.e. not slippery like poly thread) and thicker means it holds the fabric in place better. Alternatively, you can glue baste or pin, but I have less success with either of those methods. 9. Topstitch on the interfaced collar stand. The first image above is the inside, or RS of the stand, and the second is the view from the RS of the shirt (WS of the stand). Woot! Have an adult beverage (or two!) and celebrate! All the hard stuff on your Archer is done! Shirt collars are easy peasy. Truly. They are the kind of sewing you can do even when you are a little tired, or possibly even when you are drinking an adult beverage. Not that I ever bring one of those into my sewing studio, but I hear some do. OK, let’s do this. 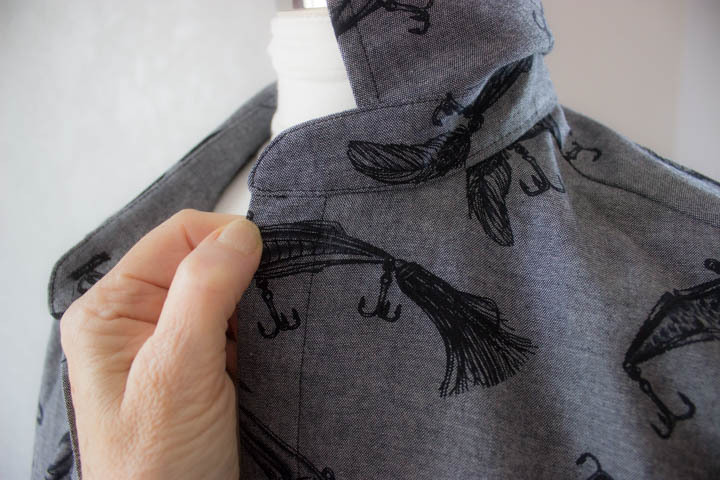 If you altered your pattern as I suggested for a one-piece collar, then your construction process is slightly different than the Archer pattern instructions. Oh, and you did already apply all your interfacing including the collar pieces, right? 😉 Let’s go over the 1-piece collar construction first (Duh. Cuz it’s better!). 1. Stitch the collar center back seam, RS together. 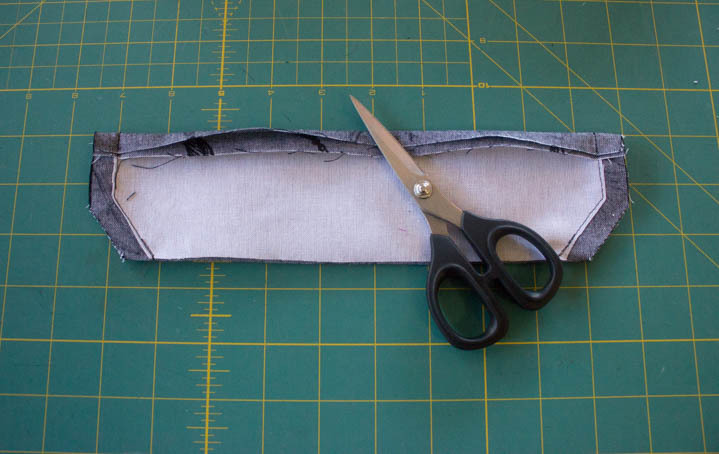 Make sure pull you make the under collar slightly smaller than the upper collar, which means you could trim a bit off the CB seam, or you could take a slightly bigger seam allowance. Press the CB seam open. 2. Press the collar, making sure the fold along the collar front edges is accurate and even. 3. Stitch across the collar edge, or lower edge, or whatever you want to call it. You are stitching from collar point to collar point. TIP: Do not backstitch here. 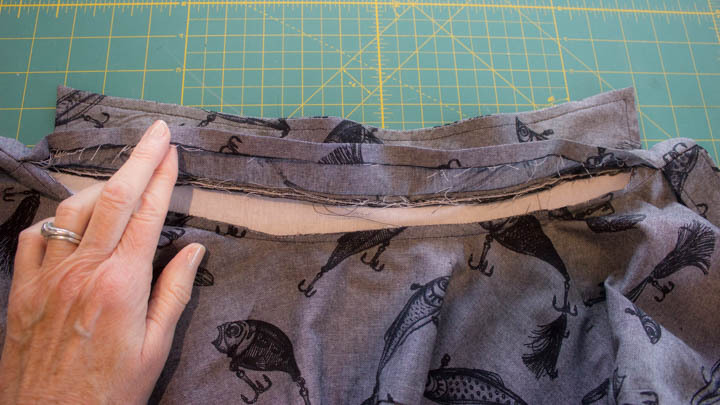 Instead, reduce your stitch length to 1.0 or less to eliminate the stitches pulling out of the fabric. This is a place where backstitching can “draw up” your fabric and cause a wrinkle. Not good. 4. Trim the seam allowance, and be very assertive about trimming at the points. The less fabric you have in the collar point the better it will look from the right side. 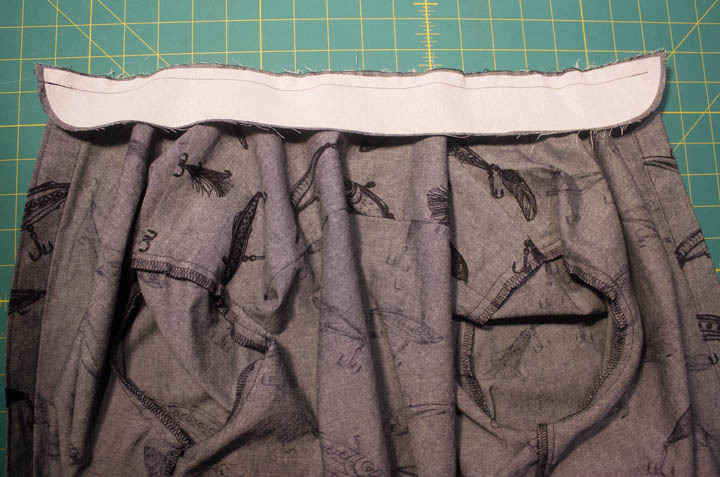 Also trim the interfacing very close to the stitching, especially if you use Pro-Woven Shirt Crisp. 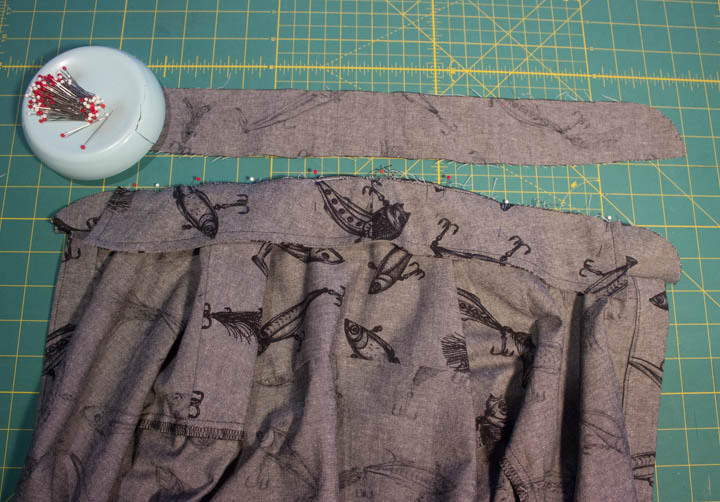 That awesome interfacing does not fold nicely with others, so I trim as much away as I can. 5. Now press the seam you just stitched open over a point presser. Yes, open first. 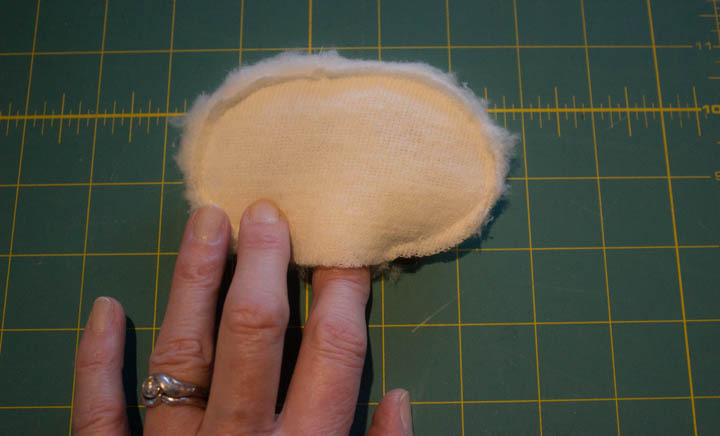 You are trying to get that seam as flat as possible before pressing into the final shape. 6. Turn the collar right side out, and use a point presser to get into the corners as much as possible. Another great tip is using a threaded needle (no knot!) and slip it into the seamline on either side of the corner. Pull gently to extend as much of the corner as possible. 7. Now you are ready to press the collar. With the under collar side facing up, roll the stitched edge slightly so just a bit of the upper collar is visible on the under collar side. This is “favoring” the collar to the under collar side, and it means the stitched edge is not visible from the right side, which is what we want. After this pressing step, line up your collar points to make sure they are the same length. If not, trim them so they are identical. Nobody likes a lopsided collar! 8. Topstitch 1/4″ from the edge along the collar fronts and stitched edge, using whatever topstitching settings you have determined for your Archer. I like to use my 1/4″ or Jeans foot for this topstitching job, but whatever works for you to get an accurate 1/4″ stitching line. 9. Now just press the finished collar over a sleeve board or around a pressing ham, RS up, to build a nice curve into the collar shape. If you decided not to use the one-piece collar for your Archer (what were you thinking!?! ), all you need to do is place the under collar on the upper collar, RS together, and stitch around the sides and lower collar edge. Then you pick up starting with instruction 4 in the above steps. 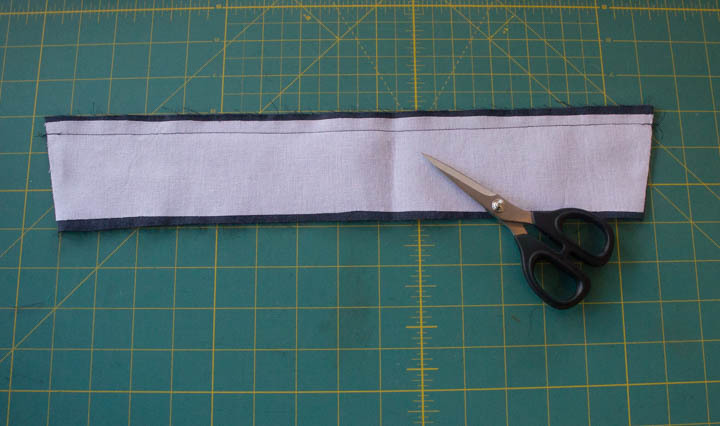 Also, when you are pressing the collar seams open, be sure to press the side edges open, too. Now there is one thing I noticed about the Archer pattern I want to point out. The pattern includes a separate under collar pattern piece, and it is designed to be cut on the bias. All good. BUT. It should also be slightly smaller than the upper collar, so the “favoring” thingie is easier and doesn’t make your collar ripple and roll funny. So, if you are using the upper and under collar pattern pieces provided in the Archer pattern, my suggestion is to trim a bit from the under collar sides and lower edge. Leave the neck edge as is. 1. Start by drawing a line with the fabric marker of your choice 1/2 inch from the top edge of the interfaced side of the cuff. Yep, this line is on the right side of your fabric. 2. 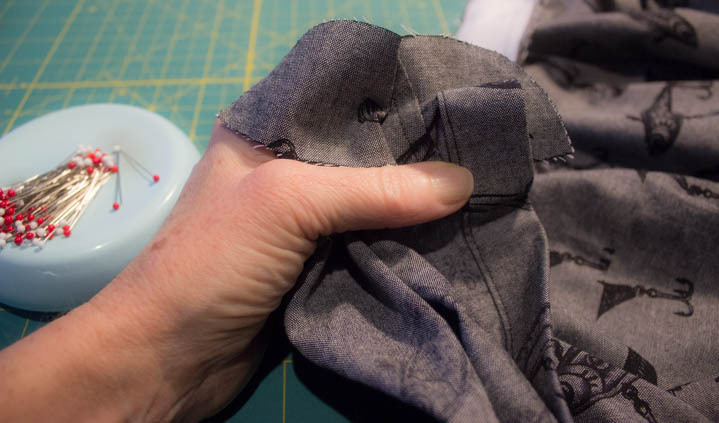 Press the fabric to the wrong side on the marked line, and then fold the un-interfaced cuff (or under cuff) over on top of the interfaced outer cuff. Pin around the sides. 3. Stitch both sides of the cuff, back-stitching at the beginning and end of each line of stitching. 4. Trim the side SAs to 1/4 inch, and turn and press well. Notice the top edge of the under cuff is slightly taller than the outer cuff. By design, peeps!! 5. Pleat the sleeves, and pin or baste to hold. 6. Next, draw a line using the fabric marker of your choice 1/2 inch from the bottom edge of the sleeve. 7. With the right side of the shirt sleeve facing up, and the outer side of the cuff facing up, slip the sleeve inside the cuff. Be sure to align the upper edge fold of the upper cuff right on the marked line. Pin or glue-baste in place. 8. Topstitch completely around the outer cuff. Notice that since the under cuff is slightly taller than the outer cuff, your topstitching is guaranteed to catch the under cuff. Sweet, huh? Here’s a view of the outer cuff. It’s December, so it is totally OK to start talking, thinking, planning and making for the holidays! My family celebrates Christmas, so the project I am going to show you how to make today is designed for a Christmas tree. So when Deanna McCool asked me to participate in her 12 Days of Christmas Blog Tour, this project jumped immediately to top of mind. But it is so cute I think it would also make a darling package topper for lots of different holidays or gift-giving occasions. 1. 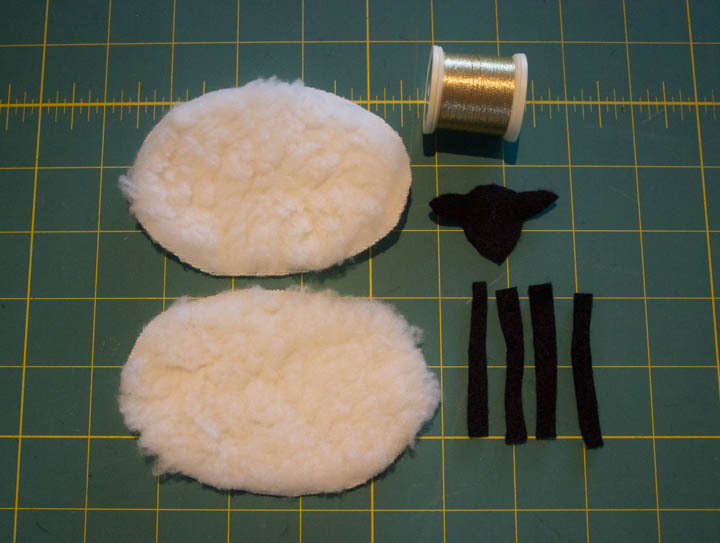 Using the PDF pattern download, cut 2 lamb bodies from the fake fur. 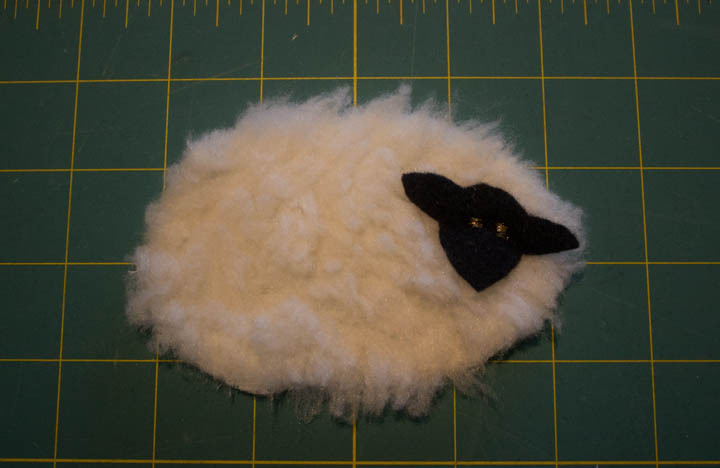 Also cut 1 lamb face and 4 legs (approximately 2 inches x 1/4 inch) from the black felt. 3. 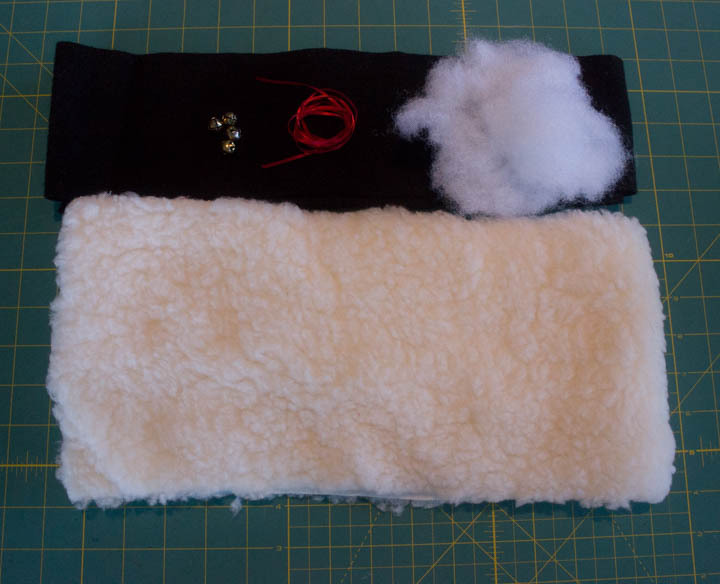 Arrange the felt legs across the bottom edge, and baste in place about 1/8″ from the edge of the fur. Also add a red ribbon loop at the top edge for hanging, and baste that in place as well. 4. Pin the ear and the hanging loop away from the outside edges so that these 2 items do not accidentally get caught when you stitch around the body. You will leave this pin in place for the next step, so make sure none of the pin is close to the outer edge either! 8. Cut another bit of ribbon and thread a bell on it. Tie an overhand knot and hang it around your lamb so you will hear it when it tries to sneak off. 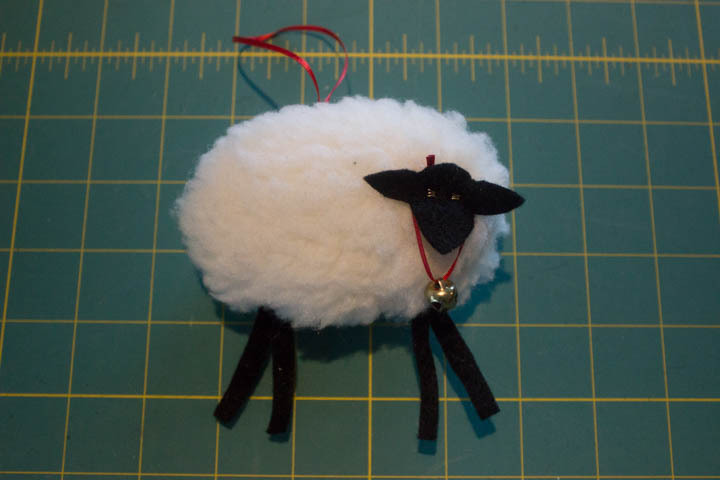 I hope you enjoyed this quick and fun Christmas ornament project! See how cute he looks against a green tree? start to finish this project takes about 15-20 minutes, so you can make a pile of them to add to packages or give as a little gift or party favor. Be sure to check out the other bloggers on tour! 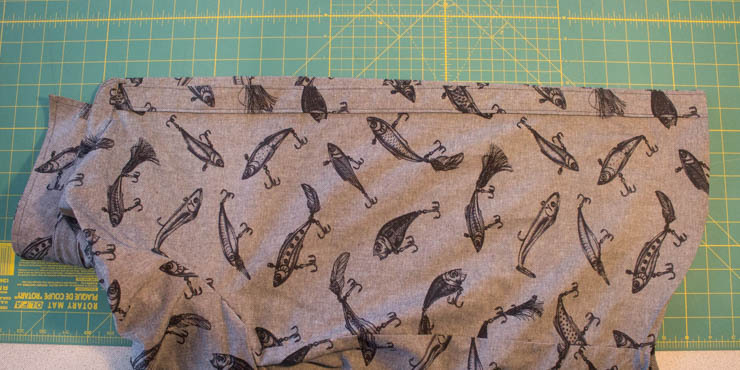 Once you get the side seams sewn, your Archer really starts looking like an actual shirt! 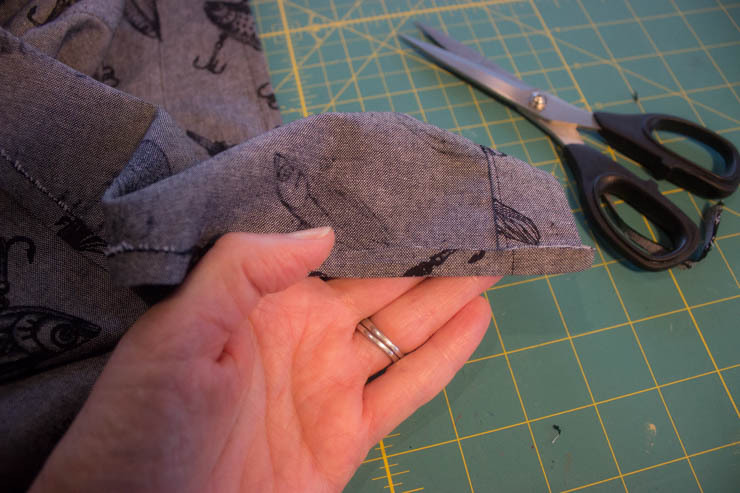 If you decide to fell your sides + sleeves, it is almost that simple, but it does require 2 rows of stitching. I love this finish because the seam is completely enclosed and clean finished on both sides. Plus it is strong and durable too. What’s not to love? 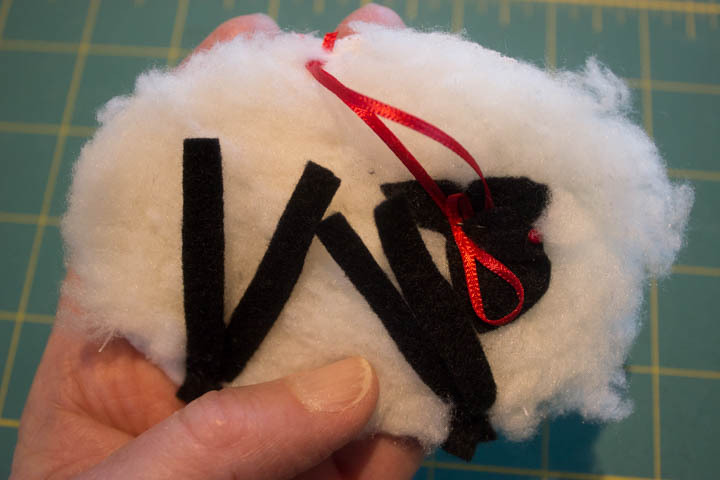 I like to use a fell foot, because I am lazy, and specialized feet make my sewing life easier. 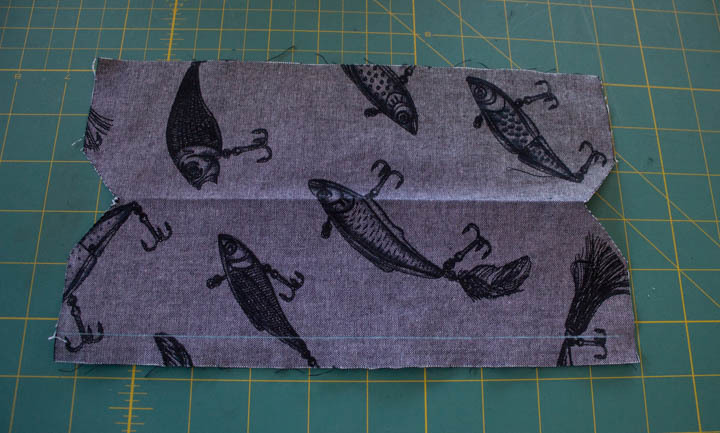 I usually use the “skinny” fell foot, but there is one that produces a wider seam, too. 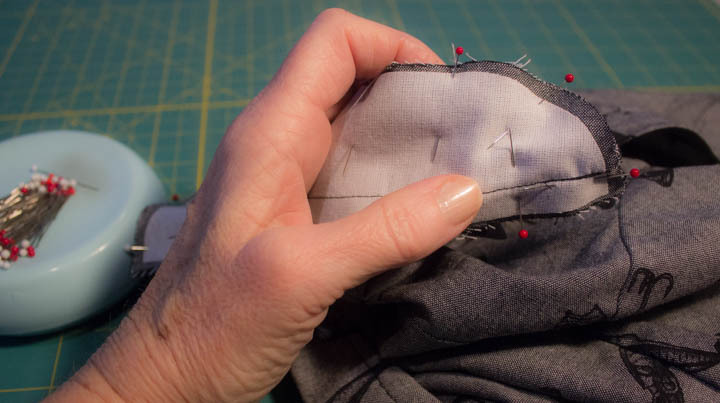 If you don’t have a felling foot, and don’t want to invest in one, Christine Haynes wrote a great tute detailing how to fell a seam with a standard foot. More steps and more fiddling, but totally doable. 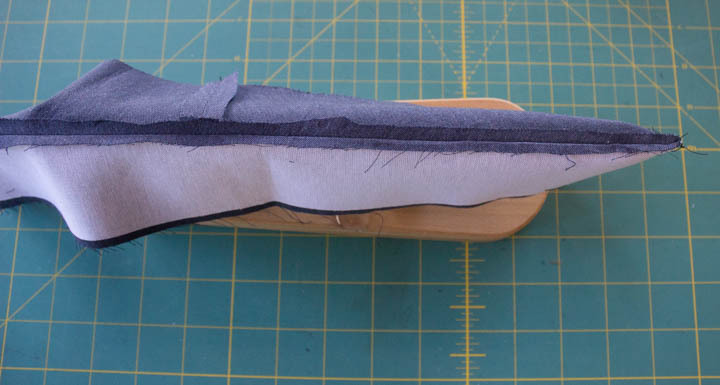 OK, start by placing the front + back wrong sides together, and offset the top layer by the width of the foot opening. 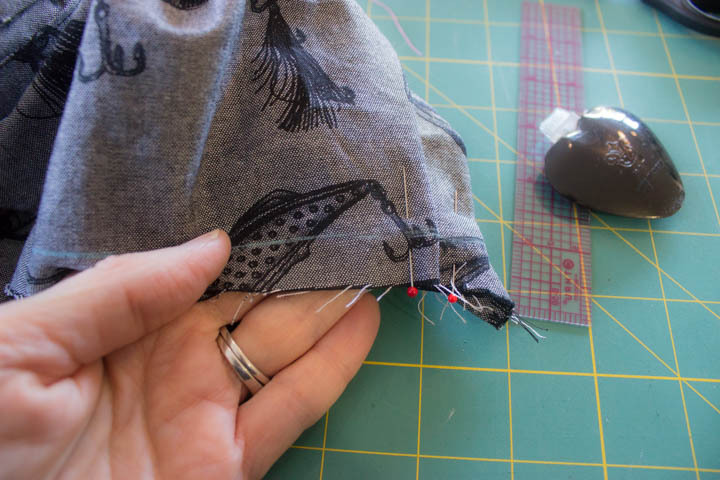 I like to pin the first bit of the seam flat and start stitching for an inch or so, and then once you are underway you can lift the bottom layer of the shirt up and onto the foot opening. See how the under layer of the shirt is on top of and placed in the foot opening? The process is a bit like using a rolled hem foot, isn’t it? 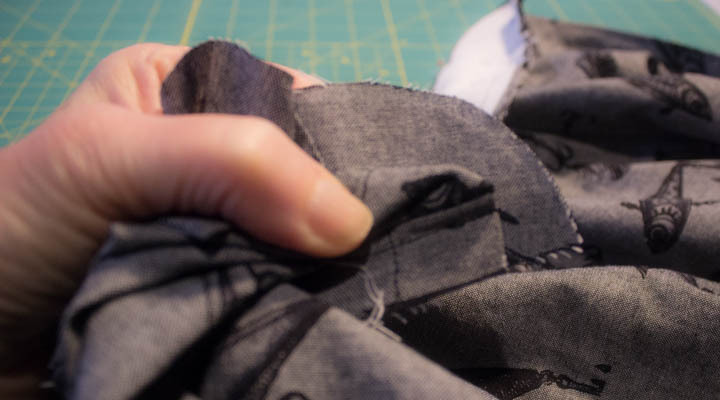 OK, now the first row of stitching is in place, and the next thing you need to do is press the seam to the side and then apply the second row of stitching. Don’t skip the pressing! It totally matters! 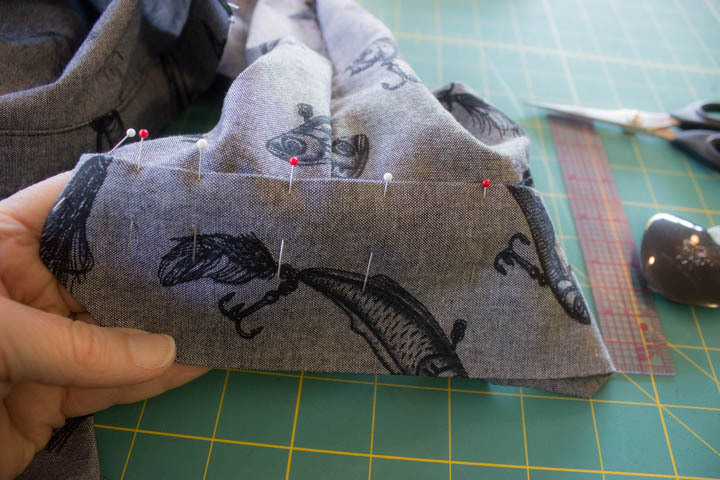 Place the fell foot completely on top of the pressed seam, and stitch a second row of straight stitching on the other side of the seam. That’s all there is to felling a seam using a fell foot. Easy peasy, eh?